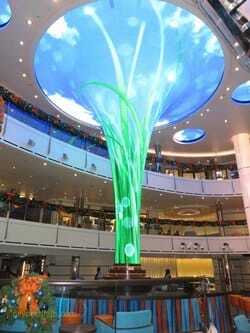 Above: A giant LED sclupture rises from the lobby and extands three decks high. The designs on the sculpture change from abstract designs to photo realism. ​Below: Looking down the Atrium at the lobby. 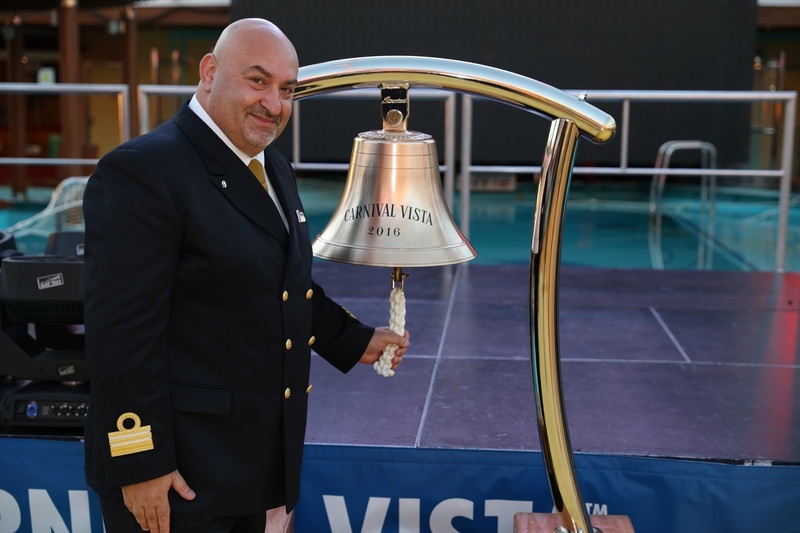 Carnival Vista is the lead ship of the Vista class. 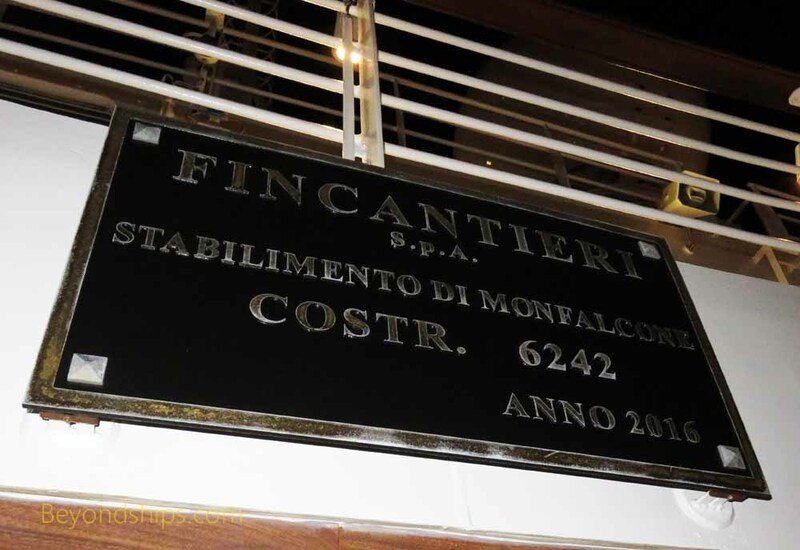 She is a large family-friendly ship offering a an extensive array of dining, entertainment and sports options while maintaining affordable fares. Vista is an evolutionary rather than revolutionary ship in several ways. The ship continues the evolution begun on Carnival's Dream class ships (Carnival Dream, Carnival Magic and Carnival Breeze) and continued on Carnival Sunshine away from the fantasy-style interiors of its earlier ships. 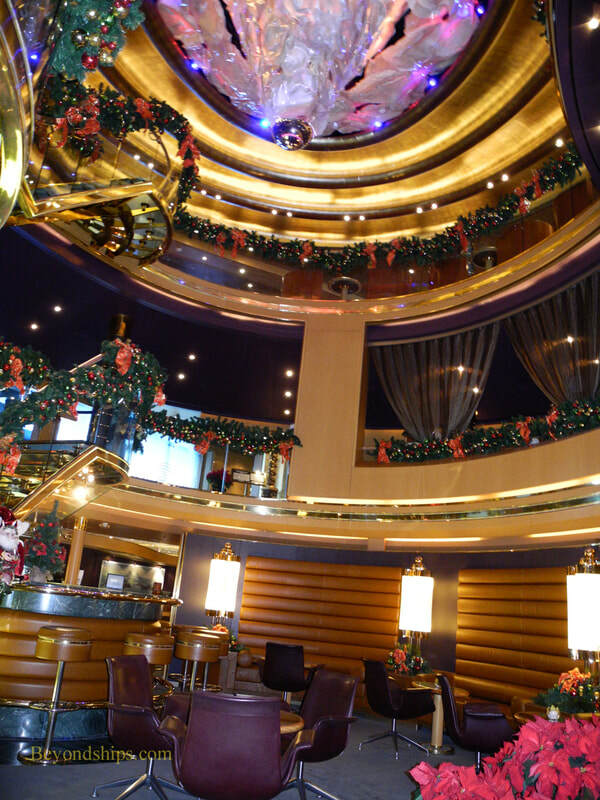 Vista's décor is like a contemporary hotel with subdued colors and relatively few bright lights. 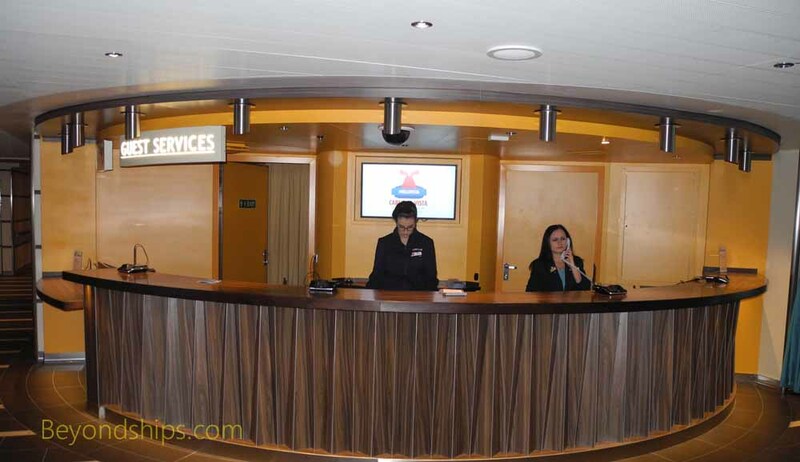 Vista also incorporates many of the concepts that were successful on the Dream class and on Carnival Sunshine. This includes such things as the Lanai wrap-around outdoor promenade, the ocean plaza, the sports square and a number of the dining venues (e.g., Guy's Burger Joint and Ji Ji's Asian Kitchen). However, many of these concepts have been enhanced. 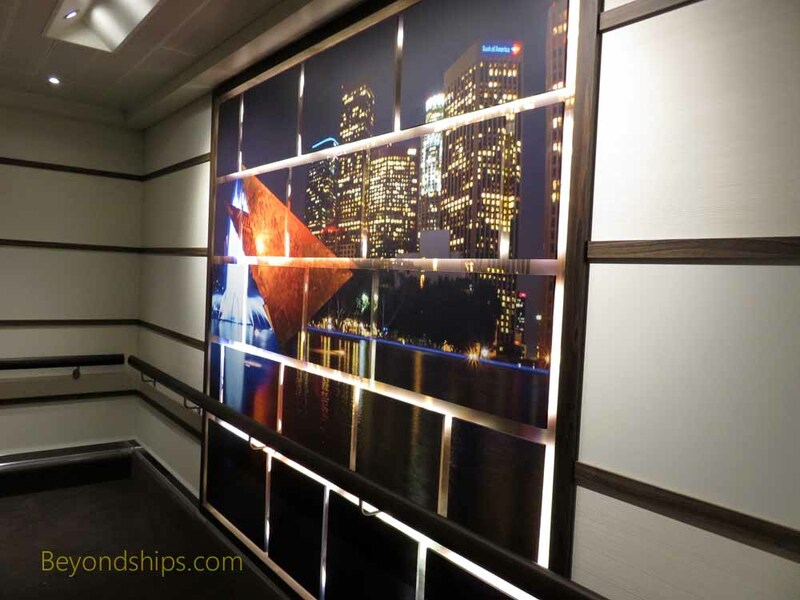 For example, the Lanai now has outdoor seating for several of the ship's dining venues and bars. New concepts debuting on Vista include the inclusion of an IMAX movie theater and an individualized monorail called the Skyrider. 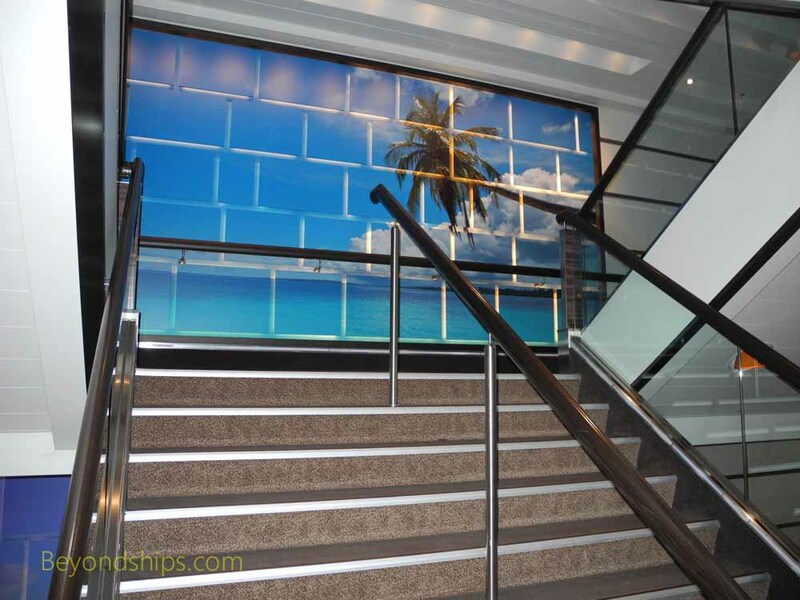 From a nautical standpoint, the design of the ship is an evolution from the Dream class, which was an evolution of Carnival's Conquest class, which was in turn an evolution of the Destiny class. She is slightly larger than the Dream class but the overall layout is similar. However, a significant difference between Vista and the Dream class ships is that Vista has an azipod propulsion system rather than a tradition propellers and shafts system. She also has advanced technology to make her more environmentally-friendly and more fuel efficient. 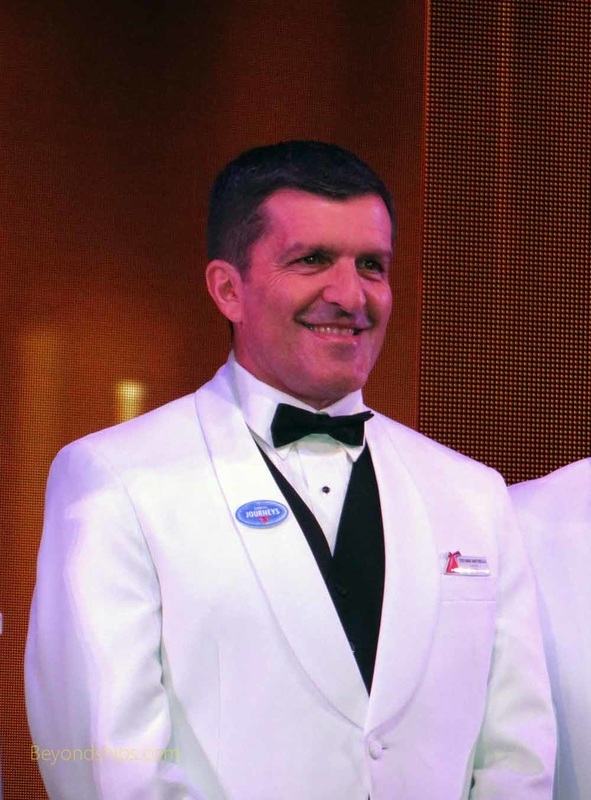 Below: Hotel Director Piere B. Camilleri (photo courtesy Carnival Cruise Line). 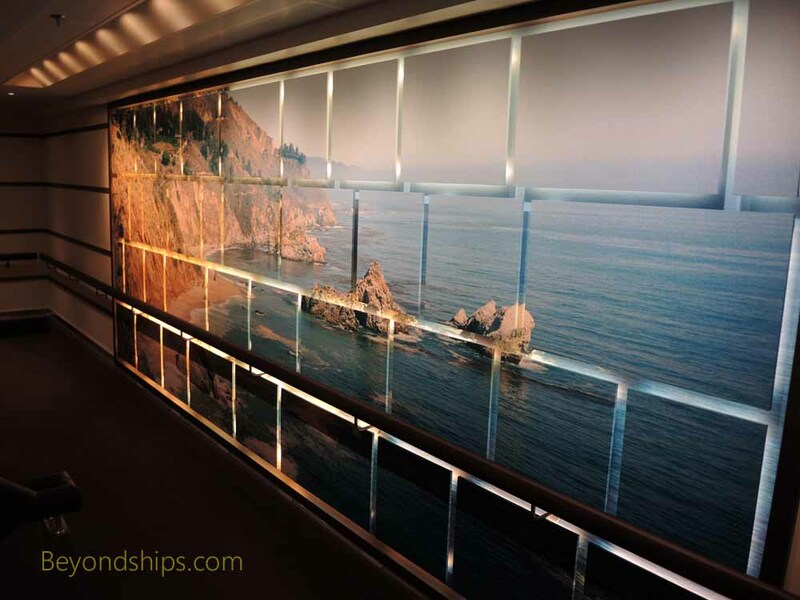 ​For the most part, the art on Vista is photographic and located on the staircases. Above: The Guest Relations Desk in the Atrium. Left: The shore excursions desk is on the other side of the Atrium from Guest Relations.